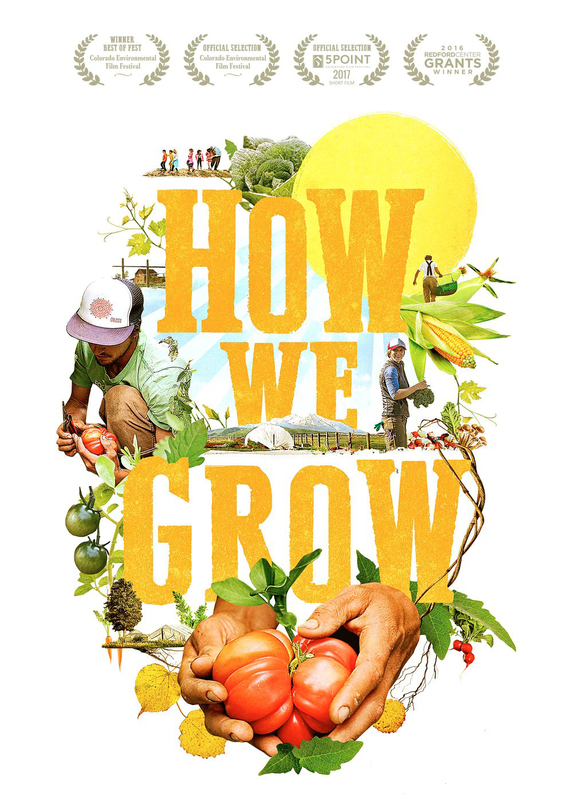 The July feature in our 2019 Film Series is “How We Grow”. Join us for the FREE screening at 7 pm and stick around afterward for discussion. HOW WE GROW seeks to tell the story that digs deeper- beyond the farmers markets and local food access into the ways in which communities rebuild themselves around agriculture. The film is a coming of age story of a community re-learning how to work together and growing stronger in the process. Inspired by the drive and dedication of the next generation of agricultural leaders in the Roaring Fork Valley, the community explores how to overcome pressing issues. Land access, income inequality, and a short growing season turn from barriers into levers as these ambitious young farmers discover ways to get healthy, sustainably produced, locally grown, nutrient dense food onto the tables of everyone in the community.